Well, I've been making more and more progress on Mbedconsole. 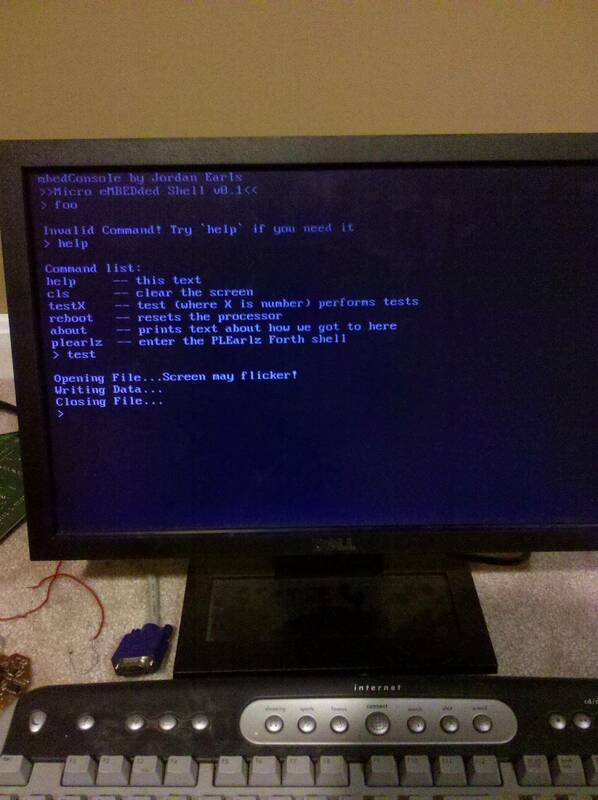 For starters, I finally got the PS/2 keyboard working completely. So now getc and friends now point to the PS/2 keyboard and not the serial port. Also, I've added a few more commands than what I had. I also did a lot of other small things like resetting interrupt priorities so that the VGA console should only be disrupted during semi-hosting events(ie, LocalStorage), and probably if the mbed crashes. 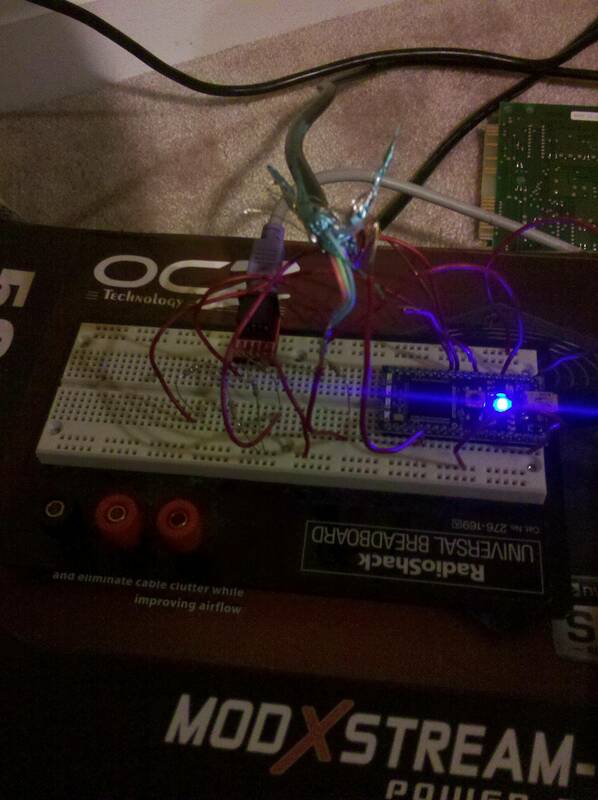 As you can see, the wiring for this project is extremely simple. Ridiculously simple really. I don't have a single real component on my breadboard! All I have are a few resistors. The only thing I might consider adding in the future is a few caps on the power and ground lines of each component. Also, in case anyone is searching for a PS/2 scancode set 2 map in C source code, here you go. A complete scancode set 2 to ASCII translation table/array. Also BSD licensed. I had to make this by hand. I've come to the conclusion that no sane individual should ever have to do this! Scancode set 2 is SOOO much more complicated compared to set 1!